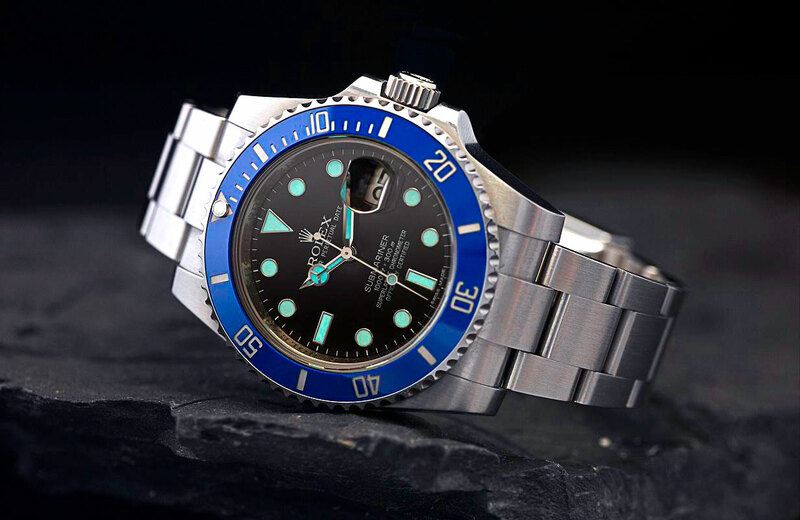 Welcome to RolexMagazine.com...Home of Jake's Rolex World Magazine..Optimized for iPad and iPhone: A True Blue Sub A Rolex Submariner Customized–Kinda? Sorta, Maybe!?! A True Blue Sub A Rolex Submariner Customized–Kinda? Sorta, Maybe!?! Update on December 7th: It is amazing how many people have mentioned to me that they love the look of this combination! My girlfriend saw it and freaked out and said, "I love that watch! That's the watch I want!!!" Since she saw the photos first without realizing what she was looking at, I had to tell her it was not available, at least off-the-shelf that way. Hopefully Rolex will offer this option in the future, because it looks great!!!! There are several schools of thought when it comes to customizing Rolex watches. First, there are the purists who say you shouldn't modify a stock Rolex and if you do, you end up with a Frankenstein watch. There is another school of thought that believes it does not matter what you do to a Rolex as long as you make it look better. What does Rolex think about customizing Rolex watches? I don't know for certain, but from what I have put together, they frown upon it. Some might argue Rolex should not really care, because the customizer has to pay for a real Rolex. There is a third school of thought, which has a lot of grey area. It is an option where somebody takes a 100% genuine Rolex watch, and a part or parts from another model and combine them together. A really good example of this would be Xelor's Stainless Steel Rolex Submariner which he modified by putting a bezel and bezel insert from a white gold Rolex Submariner. An all-new stainless steel Ceramic Rolex Submariner retails for around $8,000 and a White Gold Rolex Submariner retails for around $34,000. 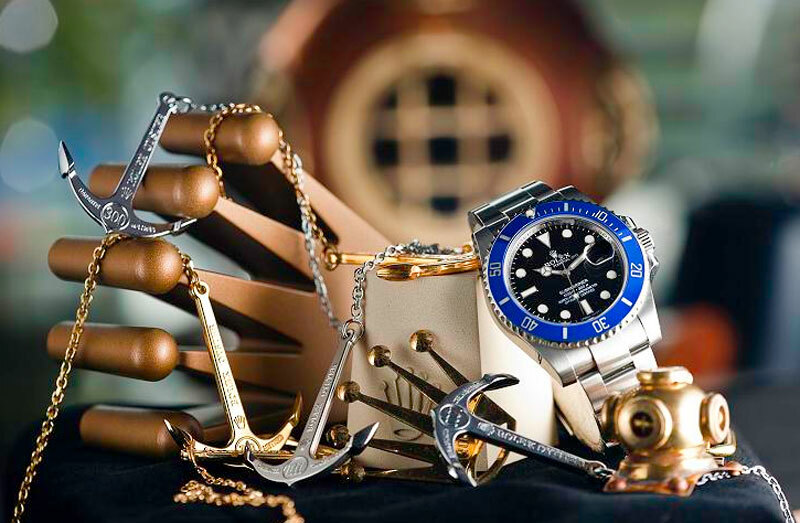 Of course, the standard black bezel stainless steel Submariner comes with a black dial, and the white gold Submariner comes with a blue bezel with a matching blue dial. So Xelor, go the bright idea to somehow purchase the blue bezel from the white gold Submariner and put it on a standard Submariner and in my opinion it looks stunningly great!!! So if you want to obtain a blue bezel insert like Xelor did, how do you do so? I don't know? In the United States, as I understand it, Rolex does not allow you to purchase parts without trading-in the watch part that is being replaced. I have heard that in Europe it is easier to purchase just parts, but never having done so, I honestly don't know. I just hope Rolex sees how beautiful this combination is, and eventually offers it, because it looks great!! !